What is special about Suriya's Masss climax? 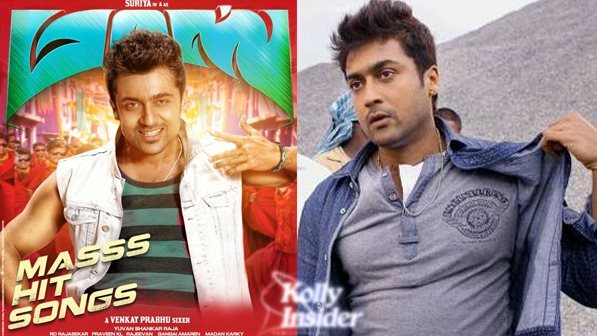 Home » Masss | Nayanthara | Pranitha | Suriya | Venkat Prabhu » What is special about Suriya's Masss climax? The much awaited Summer bonanza Venkat Prabhu’s Masss starring Suriya and Nayanthara in lead roles had its audio launch on May 8 and fans of both Yuvan and Suriya are raving about it. Suriya's Masss is being touted as a May 29 release worldwide in both its Tamil and Telugu dubbed versions. The film's music is all set to get the chartbuster status soon, the grand return of Yuvan Shankar Raja. This is first of its kind and the makers followed a unique style, where 5 songs were released at 5 different radio stations in the equal interval of 2 hours from morning 9 to evening 5. The film is produced by K.E. Gnanavel Raja under a whopping budget with lots of CG works involved. Director Venkat Prabhu promises that the film will be loaded with never before seen special effects that would attract everyone from toddlers to senior citizens. Meanwhile, closer sources to the unit of ‘Masss’ reveal that with screenplay involved with lots of twists and turns, there would be a special twist in the climax with something that audiences would have never expected. Touted to be a horror-fantasy, ‘Masss’ has Nayanthara and Pranitha as Suriya’s love interests with Jayaram, Parthiban, Samuthirakani, Karunaas, Premgi Amaran and Sriman forming the supporting cast. The film is jointly produced by Suriya’s 2D Entertainment and Studio Green. The Telugu version of ‘Masss’ has been titled as ‘Rakshakudu’, which means ‘Protector’ or ‘Saviour’ in English.